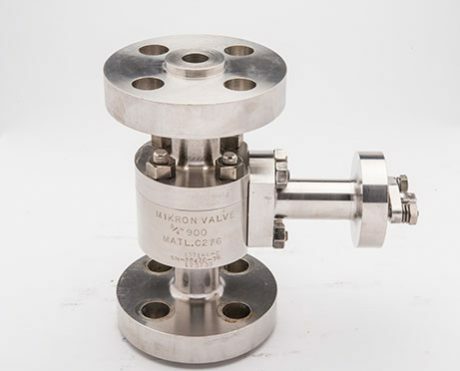 Mikron Cryogenic Valves are designed and manufactured to customer specifications. Our experience with process streams allows us to work hand in hand with our customer’s specifications…this enables us to design a valve that fits your specific needs. Extended bonnets are furnished to isolate the packing, which allows insulation in the bonnet area to prevent shrinkage or freezing of the packing material, maintaining its functional capabilities. Carbon Dioxide / CO2, Hydrogen, etc.